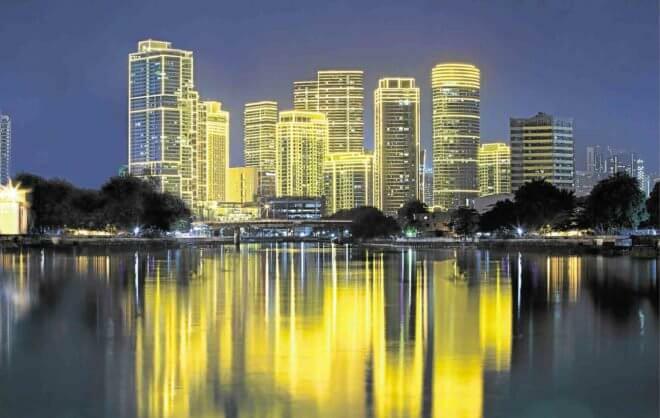 The Rockwell community casts a golden reflection on the Pasig River in Makati. I’ve seen the cardboard Rockwell, the scale model scrutinized at meetings every morning by the Lopez clan patriarch, Eugenio “Geny” Lopez Jr., when it was but a dream of a life well lived in the city. Hardly did I know that today, a little more than 20 years later, that cardboard model would be the urban lifestyle that I and countless others would be experiencing—a vision that resulted in a vibrant, ever-evolving reality. It was 1995 and Geny Lopez (the head of the Lopez conglomerate) would use the conference room of Benpres Publishing, where I worked, to meet with the architects of Rockwell Land. 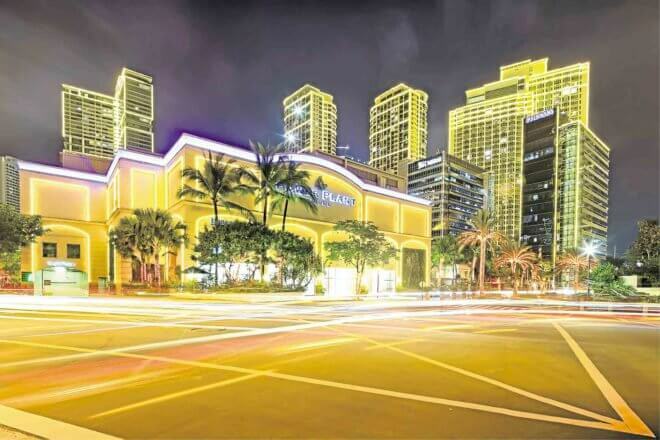 Their goal was to transform the old thermal power plant in Makati City into a high-end business district. In fact, it went beyond being a business district. 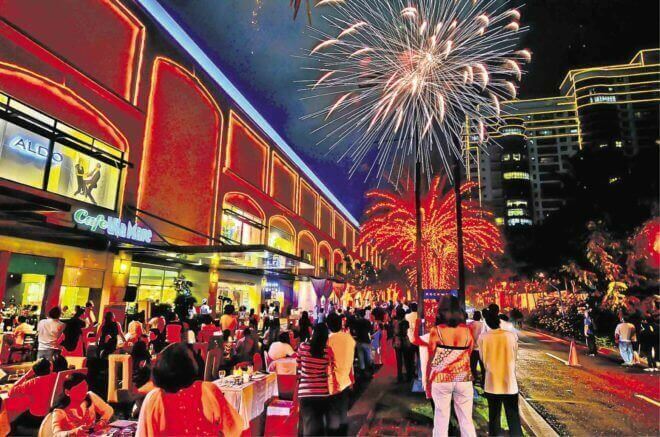 It became Metro Manila’s first honest-to-goodness taste of quality living in a mixed-used development right in the city. Red poinsettias, polar bear and reindeer—the children love a Rockwell Christmas. Rockwell grew into a self-sustained community where families could live, work, go malling, chill and meet up with friends. It became the new century’s version of a modern neighborhood. The right idea. The good taste. And the infinite patience for details. It was as if no bigger assurance than that was needed. The friends of Geny and the Lopez siblings—Oscar (current chair emeritus of First Philippine Holdings), Manuel (current chair of Rockwell Land) and Presy—lost no time in buying into the newly introduced Rockwell. A former Rockwell executive recalled how, after it became known through word of mouth that a Rockwell development was in the works, the residential buildings of Rizal Tower, Hidalgo Place, Luna Gardens and Amorsolo Square were—believe it or not—sold in a matter of days. Like any tight-knit neighborhood, Rockwell lights up with festivities now and then. With that, not only did Rockwell seal its reputation as a premier high-end property developer in the Philippines, it also blazed the path in preselling in the residential property sector. This was in the second half of the ’90s. It was as if after that, property developers knew that preselling was the way to go. In the past two decades, Rockwell has gone beyond Rockwell, so to speak, outside Makati—to Ortigas Center (The Grove and The Rockwell Business Center), San Juan City (The Alvendia), Quezon City (205 Santolan) and Cebu City (32 Sanson). 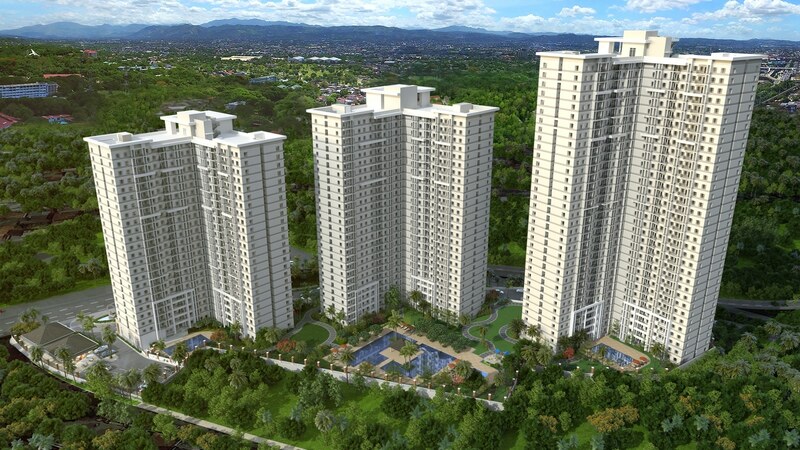 Now the Rockwell lifestyle is going farther north—to Katipunan, Quezon City, on a hill that offers a breathtaking view of the Ortigas skyline and the Sierra Madre mountains. 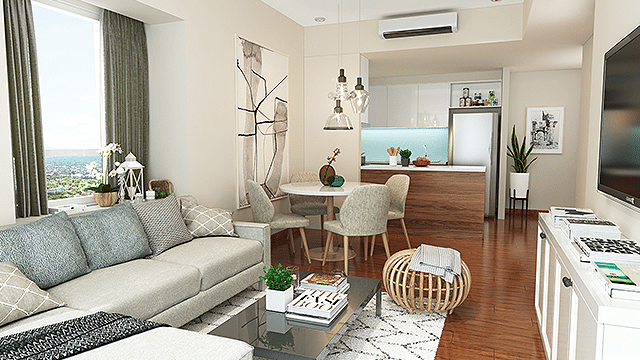 The Arton by Rockwell was introduced this July—a 1.9-hectare property designed to be the first high-end, high-rise residential community in Katipunan. With 80 percent open space dedicated to amenities, it is bound to carry on, yet again, that Rockwell lifestyle. To both residents and transients (from office workers to mall-goers and diners), the Rockwell lifestyle is indelibly defined—it is quality living, even in a metropolis that’s too harried and congested to even think of quality. Rockwell must be the only place in Metro Manila where a pedestrian can cross the street leisurely without fear of being run over—vehicles stop to give way because the intersections are manned by uniformed traffic aides equipped with luminous signs. The roads are wide and the sidewalks are tree-lined, so that the 15-ha sprawl is conducive to walking and jogging. Even as more residential and office buildings have risen through the decades—Manansala, Joya One Rockwell, 8 Rockwell, Edades—the tree-lined landscape remains. It’s hardly known that when the land was cleared to build Edades, the crew painstakingly moved a tree to the front of the Ateneo Graduate School of Business, where it was replanted, under the watch of no less than Nestor Padilla, the president of Rockwell Land. If Rockwell carries the fine details of lifestyle, it must be because of the orientation of its executives like Padilla, who are so into details. 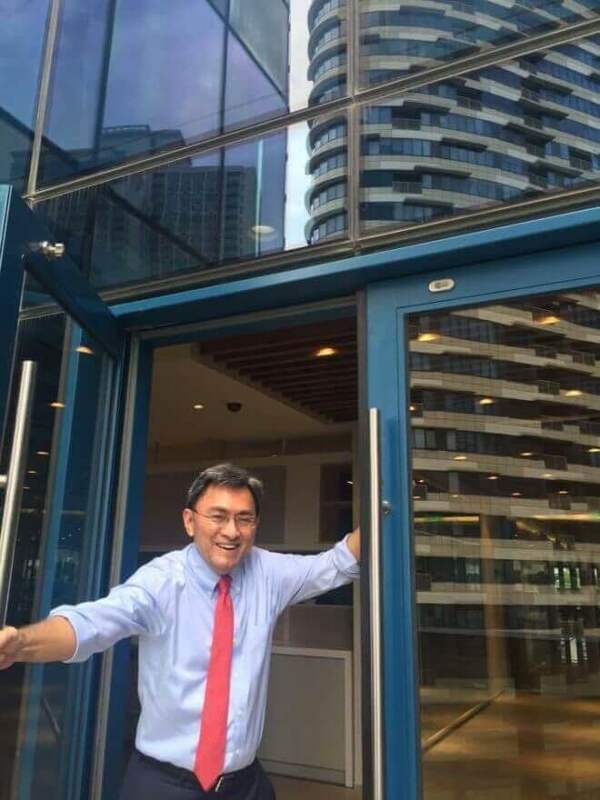 It’s not unusual, for instance, to run into Padilla—familiarly “Tong” to friends and residents—making the rounds early in the morning or checking out the basement parking of a residential building. Indeed, lifestyle is in the details, such as the red poinsettias and red wreaths at Power Plant. Red poinsettias have become synonymous with a Rockwell Christmas. Another detail is the piano music at the Power Plant food court. 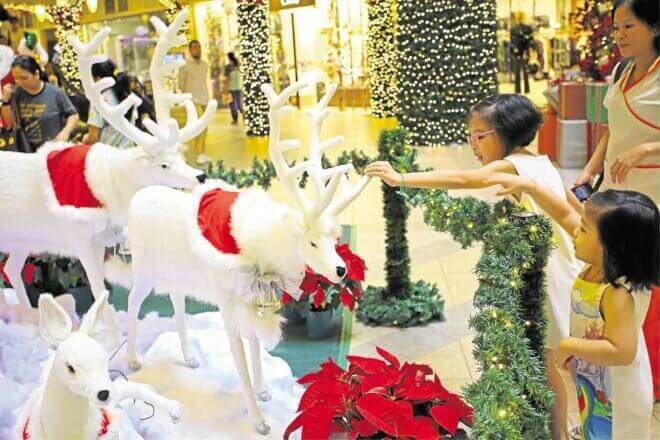 Mall-goers have grown familiar with the pianists who play the favorite pieces of the mall promenaders, so that when the gracious old lady pianist passed on last year, some mall habitues felt sad, like in a cozy familiar neighborhood. In the food court, pianists, acoustics artists and other instrumentalists can take turns playing well-loved tunes. Even if you live alone at Rockwell, you can choose not to feel alone at certain times of the day. I know of a Filipino woman retiree from New York, who, when she is in a social mood, only has to walk to her favorite restaurant in the food court, sit at a table facing the promenade and is bound to see someone she knows. This is a woman who, seeing cars on display at the Rockwell court, took a fancy to one car and realizing she needed one, bought the car on the spot. The restaurants in the food court have regular habitues. On some days, you can spot writers Nelson Navarro and Jessica Zafra at Wild Ginger (not together). It’s really like a cozy familiar neighborhood where you have, not only your favorite dining places or retail outlets, but also the yoga studio, the gym, your “suki” bakers or dessert makers and your favorite fruit stall where you get your regular supply of Bangkok sampaloc. Come to think of it, that’s why you work hard, because not only do you want a life, you want a lifestyle that’s beyond the ordinary. 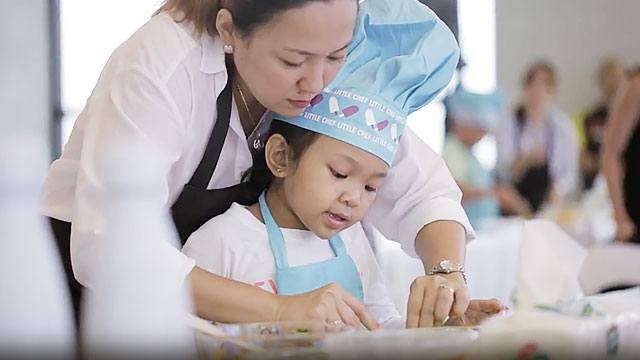 « Have You Tried the Delicious Cakes at These Restaurants in Katipunan?